Earrings are definitely trendy and fashionable. Yet some earrings are not sitting upright as they should while others are too heavy, causing damage to the earlobe. 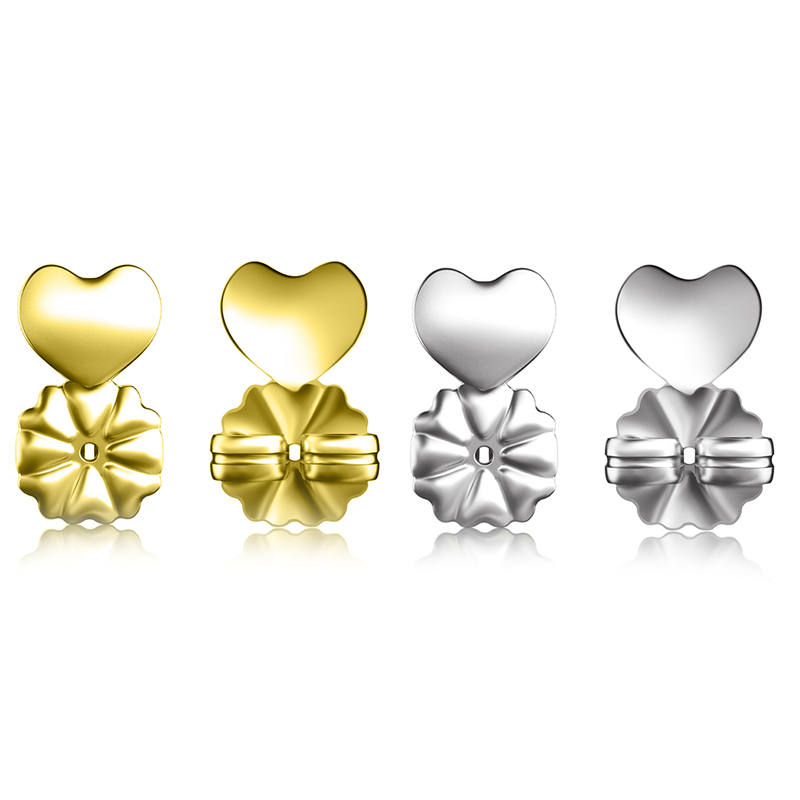 If you find earrings not sitting upright where they should be, our Hypoallergenic Earring Lifters are what you need! They safely secure your earrings to your ear lobe while lifting them into place, giving you the comfort and look you desire! Prevents split, sagging, and hole elongation from happening to your fragile earlobes. Perfect for misshapen piercings, stretched lobes, and heavy earrings. 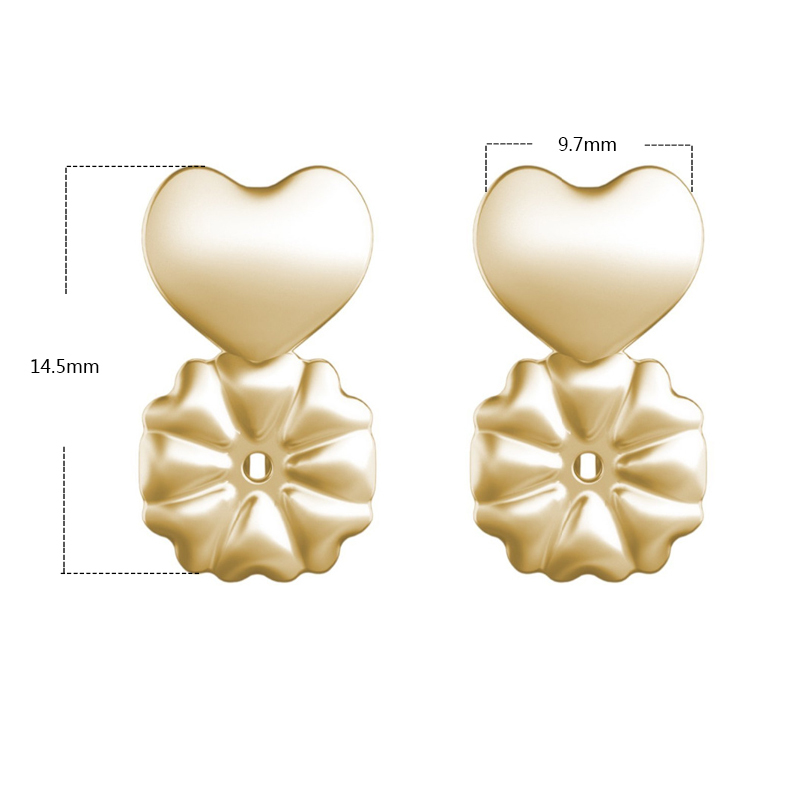 Made with an ergonomic design, the weight of the earring pulls the heart side against your ear, counterbalances the earrings and holds them securely, effectively preventing stretching of the earlobe over time. Just replace any earring lock with our Hypoallergenic Earring Lifters and you will immediately feel how your earring sits more upright and more secure!